Was the 1-year wait that every tween fang-girl and cynical Twilight-hater had to go through for The Twilight Saga: New Moon worth it? The first 10 seconds of the movie is a warning to anyone who prefers watching a movie in peace to get out of the theatre while you still can. The fang-girls are sure to drive you completely mad with their high-pitched exclamations throughout the entire movie. As proof of the extent of their fervour, during the Nov 25 premiere, they even screamed and applauded when a shot of a moon appeared on screen and faded away to reveal the title of the movie, New Moon. You can only imagine what their responses were during the more dramatic scenes of the movie or whenever there’s a shot of leading men-boys Edward Cullen (Robert Pattinson) or Jacob Black (Taylor Lautner) with their shirts off (and there were plenty of them). A word of advice – earplugs. Unless you’ve been living under a rock for the past 2 years, you’d know that the Twilight saga is based on a series of young-adult vampire romance novels written by mum-turned-millionaire, Stephanie Meyer. They revolve around Bella Swan (Kristen Stewart), the hapless heroine in the series who falls in love with the charming but reclusive vampire Edward Cullen within a span of 100 pages in the first book, featuring 2 characters in the most clichéd love story of all time. 4 books and over 85 million copies sold later, the first film adaptation of the Twilight saga hit the cinemas in 2008 and made almost US$385 million (S$532.8 million) in gross revenue, as calculated by Box Office Mojo and garnered more than a dozen awards, notably Teen Choice Awards and MTV Movie Awards. New Moon looks to do even better than its predecessor as a money-maker, with a whopping US$72.7 million, according to Variety.com, in box office takings on the opening day of Nov 20 alone. Now that amount of money, Bella, would be worth giving up your life and soul for, and not some fickle vampire boyfriend and his family who leave town so as not to jeopardize your life any further, resulting in a pity party over the next 3 months. Just to catch hallucinatory glimpses of her ex-lover, who can’t help but appear to protect her, Bella does reckless stunts that endanger her life, including jumping on the back of a stranger’s motorcycle. This breaks the heart of Jacob, her childhood friend and closet werewolf, who has fallen in love with her. For people completely new to the series, it’s important to note that Twilight, isn’t something you should take seriously. Even the various references to Shakespeare’s Romeo and Juliet in saluting a pair of doomed lovers, simply sets up a parallel structure where Edward, who mistakenly believes Bella to be dead, tries to kill himself the only way a vampire can, by turning himself over to the Volturi (the vampiric governing body). 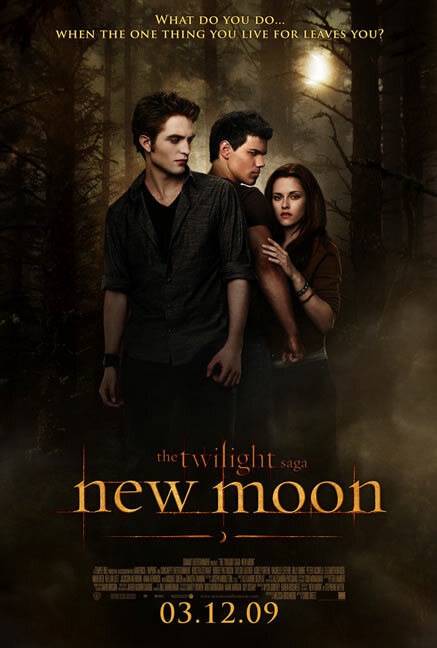 Instead, to enjoy your Twilight experience, you should take the series for what it is – pure entertainment; romance, drama, action, the paranormal and let’s not forget, comedy, which is especially true in New Moon. In a way that’s completely unpremeditated, this $50-million feature film appears to be a parody of itself, with certain scenes appearing to have been deliberately exaggerated for comedic effect. 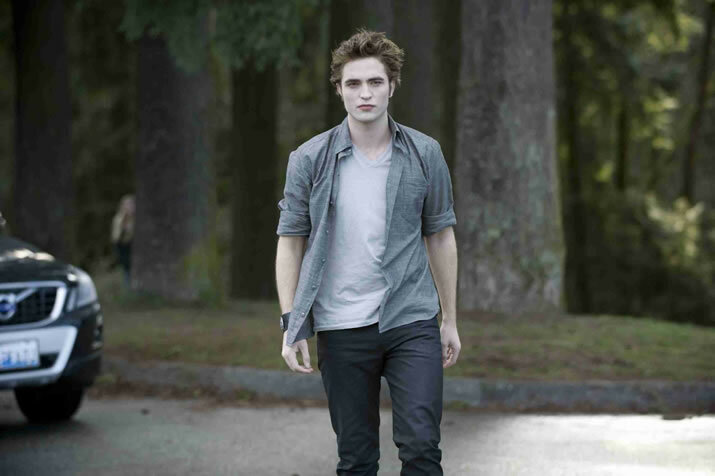 One example is a scene of Edward walking towards a starry-eyed Bella in… wait for it… slow-motion, with the wind in his hair and a smile on his handsomely made-up pale face. Speaking of their makeup, he and the Cullens still look like they’ve eaten a ton of cherries before each scene, resulting in crimson berry lips, which look really freakish on their chalky faces, something they should really work on for the next installment. Another mistake in this 130-minute homage to tragic young love is that it caters more to those who have read the books. It was lacking in proper scene transitions and the sappy dialogue left much to be desired. In fact, the million declarations of love Edward says to Bella are just too cheesy and completely cringe-worthy. One such example would be: “Bella you give me everything just by breathing.” Gag. This suggests either a lack of imagination, or a slavish loyalty to the novels on screenwriter Melissa Rosenburg’s (Step Up ) part. This shortcoming is well compensated by new director Chris Weitz (The Golden Compass), who did a better job with cinematography and the special effects, than his predecessor Catherine Hardwicke. This was most evident when it came to the animation of the fearsome werewolves, who completely stole the show, whether on 4 legs or 2. Taylor, who buffed up specially for this role, looked fantastic with his impeccable abs and pecs enhancing his performance, easily making him the best and most watchable of the 3 main actors. Kristen was mumbling and stuttering through most of her lines, as usual, and Robert, well, he has perfected the art of scowling and brooding, but at the expense of displaying any other emotion on his gorgeous face, which is a pity, really. 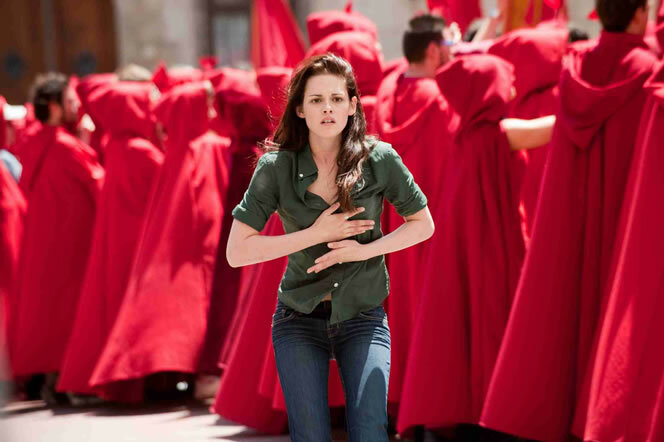 Some readers of the books are also likely to be disappointed by the film’s downplaying of the scene where Bella and Edward reunited and came in contact with the Volturi, and Alice Cullen (Ashley Greene), which was a rather important one in the book. In the acting department, Michael Sheen as the vampire elder Aro was too dramatic and felt out of place with his wooden compatriots. They’d have done well to understudy award-winning young actress Dakota Fanning, whose turn as vampire tormentor Jane was first-rate and impactful even with the miserly 10 minutes of screen time she was given. Another saving grace for New Moon was the haunting score, which fit the sombre mood of the film perfectly, written by Alexandre Desplat who had previously worked with director Chris Weitz on The Golden Compass. The soundtrack produced by music supervisor Alexander Patsavas, featuring artists like Death Cab for Cutie, Muse and The Killers, was also very engaging. You could say that with the overwhelmingly mawkish lines the actors had to deliver, they needed all the help that they could get. The blockbuster ends with a ridiculously underhanded, cliff-hanger, which will leave many Twi-hards begging for more and salivating for the next installment in the saga, Eclipse, which is scheduled to be out next year. But for now, the cycle has just begun for New Moon (no pun intended), and there’s no point in avoiding the madness. There’s absolutely no shame in being curious about this craze. Just bow your slightly embarrassed face, grab on tight to your ticket, and follow the millions of other self-conscious people into the cinemas to catch the biggest film of 2009. As the saying goes, “If you can’t beat them, join them”.